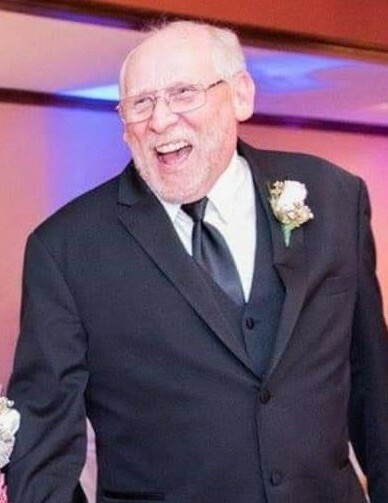 Frank W. Osborn, 65 of Bellevue died at his home on Monday, January 14, 2019. Frank was born November 26, 1953 to Harold W. and Theresa J. (McRae) Osborn. He attended school in Caro, Michigan. He drilled water wells and enjoyed working on cars at Seamon's Garage in Bellevue. He later worked for Motion Control Robotics and retired in 2015. Frank loved antique tractors and was a member of SCRAP. He also enjoyed racing stock cars. On May 7, 1983 he married Nancy (Herner) Osborn, she survives in Bellevue; along with six children: Patrick (Adria) Haddix of Pearland, Texas; Amy (Larry) Norman of Clyde; Frank Jr. (Jennifer) Osborn of Columbia Station; Andrew Osborn of Fremont; Troy (Nikki) Osborn of Erie, Pennsylvania; and Adam Osborn of Bellevue. Surviving siblings include: Kay McComb of Caro, Michigan; Linda (Jerry) Gagnon of Caro, Michigan; Mike (Gail) Osborn of Caro, Michigan; Wendy (Anthony) Davis of Mt. Pleasant, Tennessee; and Ann (Scott) Bird of Flint, Michigan. Eighteen grandchildren and one great-grandson also survive. Along with his parents, Frank was preceded in death by his brothers Harold Osborn and Eddie Osborn. Visitation will be 3:00-7:00pm Wednesday, January 16, 2019 at the Auxter Funeral Home and Cremation Services, 1105 Castalia Street in Bellevue. His funeral service will be 10:30am Thursday at the funeral home with Rev. Mark Bogen officiating. Burial will follow at Riverside Cemetery in Monroeville.